A winged beauty, the butterfly is a frequent symbol in many art forms and collected by both amateurs and scientists alike. Butterflies are part of the class of insects in the order Lepidoptera, along with moths. Lepidopterology is the name of the branch of entomology that studies butterflies. On view are specimens on loan from the Louisiana State Arthropod Museum, photographs of butterfly metamorphosis, and works of art that together reveal the beauty and mystery with which the butterfly has long been regarded. 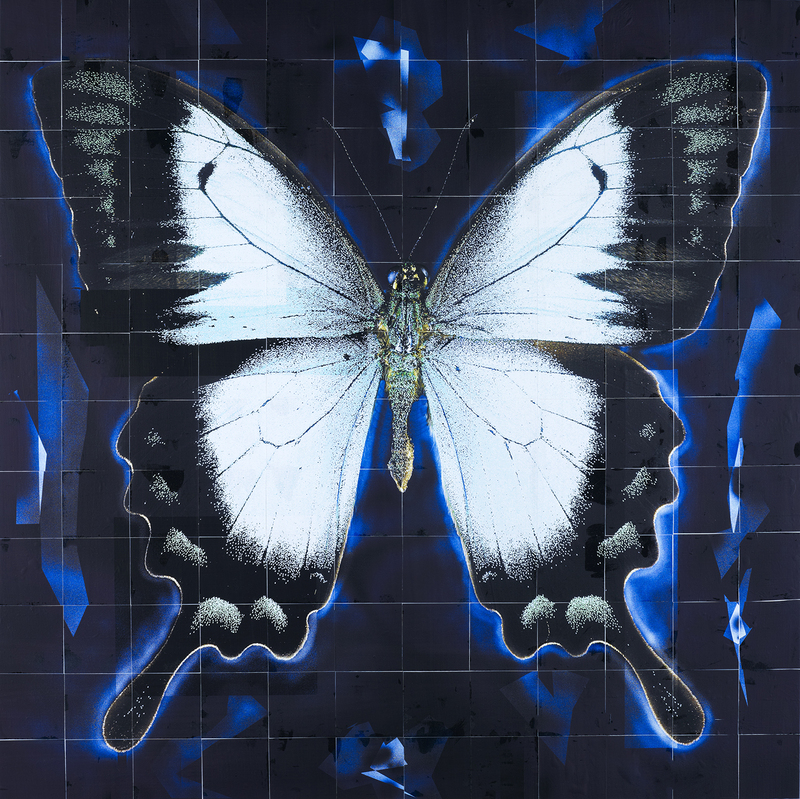 David Humphreys, "Papilio loruinalais albertisi," 2011. Hand Applied Photographic Collage.